The Practice would like to welcome our new salaried GP Dr Lucy Smith who has joined the surgery and also our new FY2 Dr Jack Seymour.
" Congratulations to all the team on achieving the "GOLD Award" for Quality in Teaching Practice from Manchester University for mentoring all new FY2's and medical students"
"Congratulations to all the team for winning the Primary Care Transforming Service Award 2018, presented by the Greater Manchester General Practice Nurse Team" This is an amazing achievement for all. "CONGRATULATIONS to Charlotte Kelly on winning the Bury BAFTA Award for General Practice Individual of the Year Award 2018"
The service is available to any patient registered with a Bury GP and patients can book appointments through their own GP surgeries. The pioneering move has been introduced as part of a pilot scheme being delivered by Bury GP Federation to improve access to local GP services in the borough. This means that patients can book GP appointments between 6.30pm-8pm on weekdays and 8am-6pm at weekends. - Direct Booking with the service Saturday/Sunday and Bank Holidays via the GP Practice number. - Online via the GP practice website. To register for Patient On-line Services please fill in the on-line form here in order to receive an electronic letter to your registered email address (please ensure that you check your in-box and junk mail box regularly for the letter). Once you have received your letter simply follow the instructions on the 'How do I register for Patient Services' document. Remember there is no need to register more than once. Registering on-line will include access to on-line appointments. 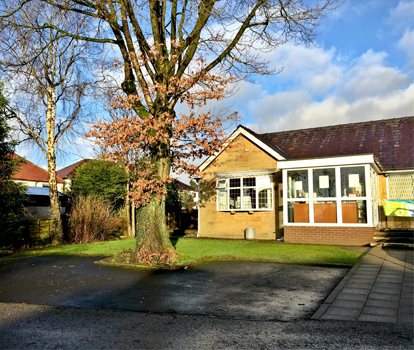 Parking and disabled parking is available in front of the surgery. We are fully accessible to wheelchair users.